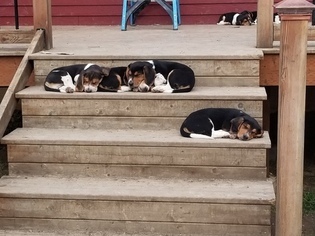 11 weeks old 1 males left. Ready for new homes. Parents are both fully genetically screened. Zero disorders, not even carriers for anything. Full embark testing. Dad is very small 12 inches or so and muscular. Weights 22 pounds. Mom is 13 inches and 21 pounds. 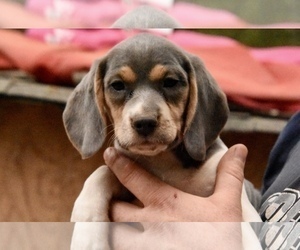 Puppies are tricolor and about half have bluetick markings. Both have great temperaments and are super healthy. Will come with 2 first rounds of vaccinations, wormed 2,4,6,8 weeks and microchipped. We also include a parvovirus booster that is supposed to give temporary immunity for a few weeks. Hopefully time enough for them to become fully immune. Parvovirus is bad around here and I take no chances. Puppies are guaranteed to be genetically healthy and come with 1 month of free pet insurance with AKC registration. They are pets only. 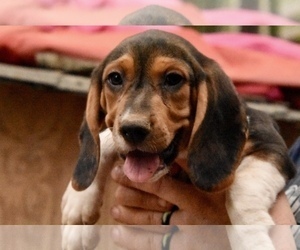 Limited registration and no breeding rights available. We are a small farm and treat our dogs like family. 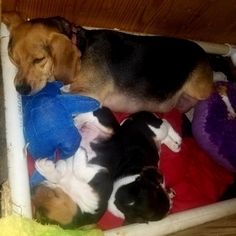 Puppies have been raised inside and well loved. Items Included: Will be Vaccinated at 6 weeks and 8 weeks. wormed at 3,4,6 and 8 weeks. Microchipped, will guarantee healthy on pickup. Also given a parvovirus booster that helps protect them till immune. 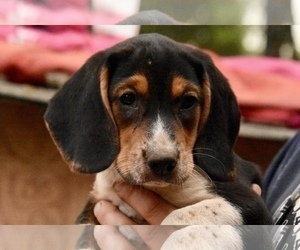 Young 13 inch Tricolored with bluetick spots. He loves people a lot. 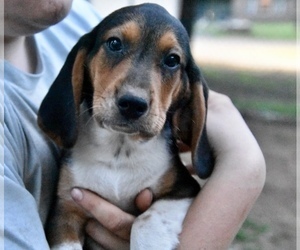 Barney is a 2 yr old male Beagle. He is good with kids and other dogs. Barney loves long walks, snuggling and likes the water! 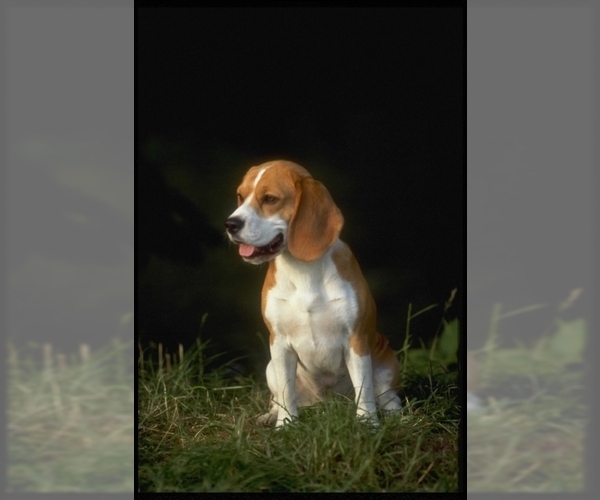 Posted Breed: Beagle. Adoption Fee: $125.